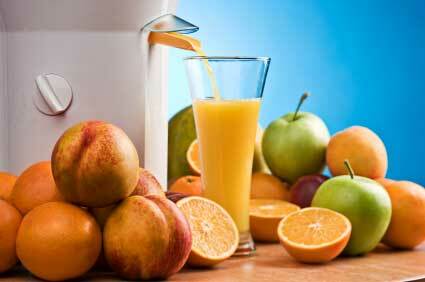 The Waring Pro Juice Extractor and Juicer is one of the most popular juicers on the market today. 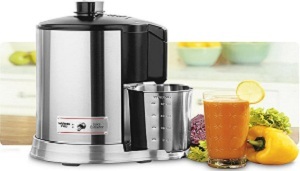 It’s top-of-the line features make juicing fast and easy. It is very efficient and allows you to extract more juice from your produce so that you are left with only dry pulp in the pulp collector. This also makes clean-up a lot easier than some other juicer models taking less than an average of 3 minutes! The stainless steel won’t get turn orange by carrots or discolor from other fruits or vegetable juices like plastic models do.